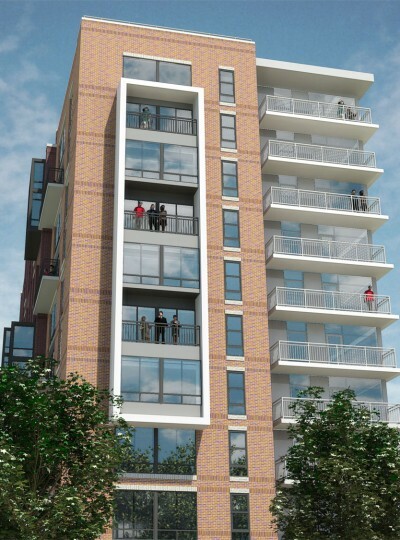 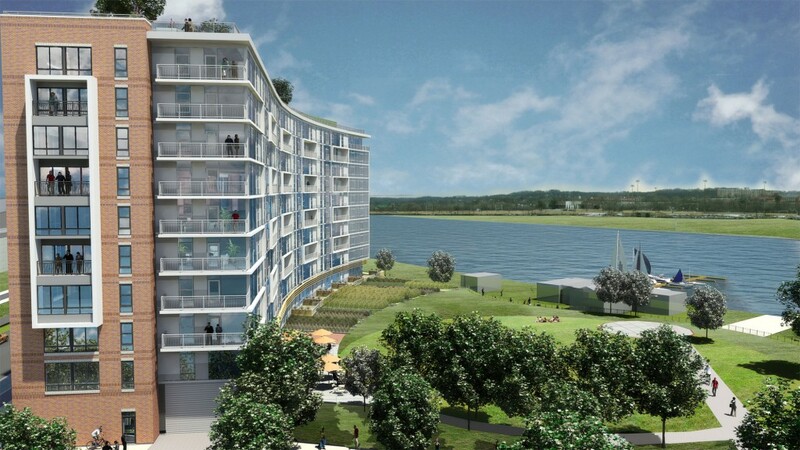 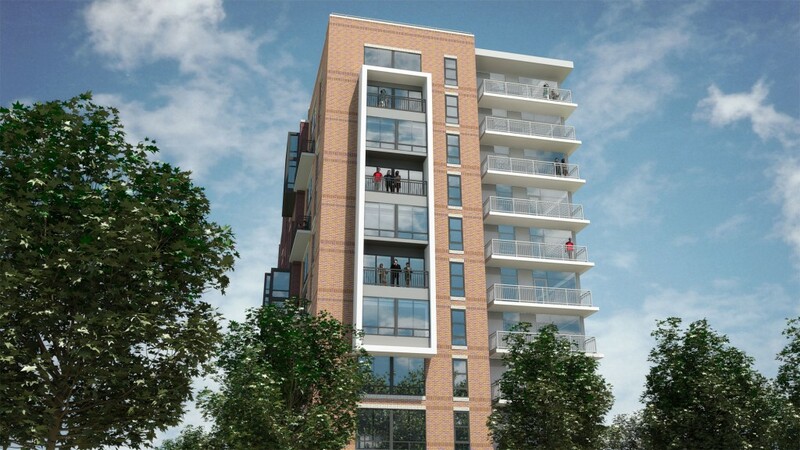 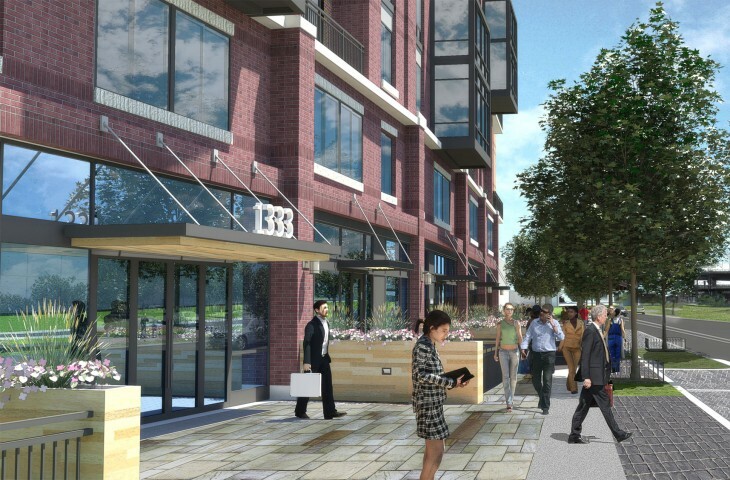 Currently on the boards, as part of a large PUD seeking approval from the Zoning Commission is the first tower of a four-phase development located along the southeast Anacostia waterfront. 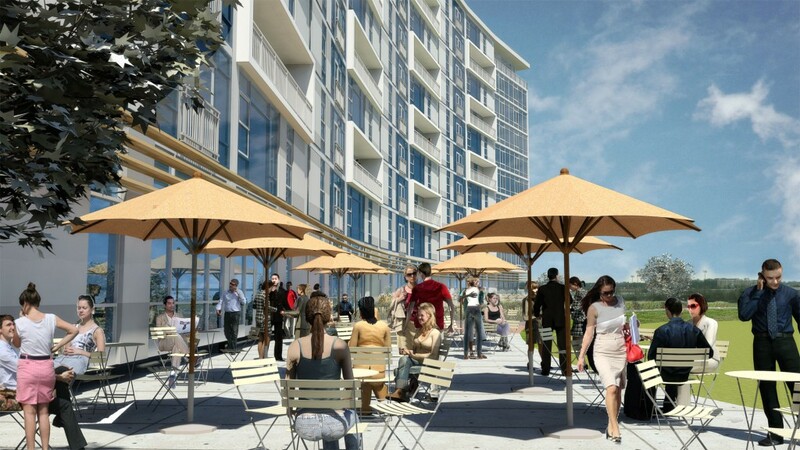 The primary design goal of the developer, Cohen Siegel Investors, LLC, was to enhance the public connectivity to the waterfront through the creation of a vibrant mixed-use community. 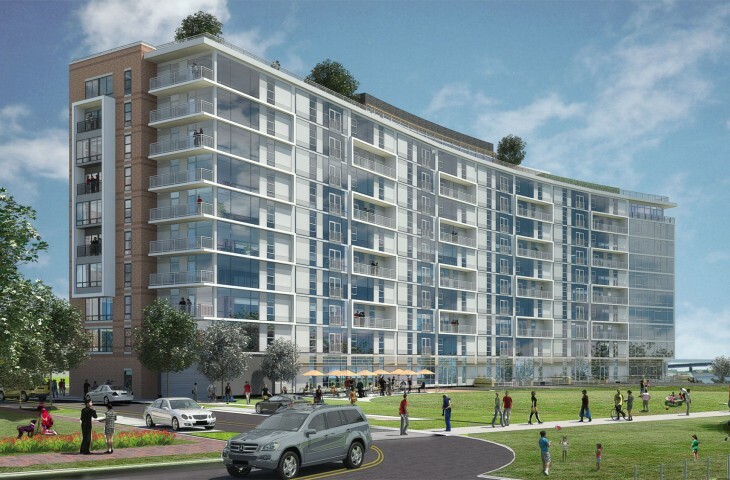 This 10-story, concrete and brick building will consist of 218 residential units with 2,400 sf of amenity space at grade level, and a green roof. 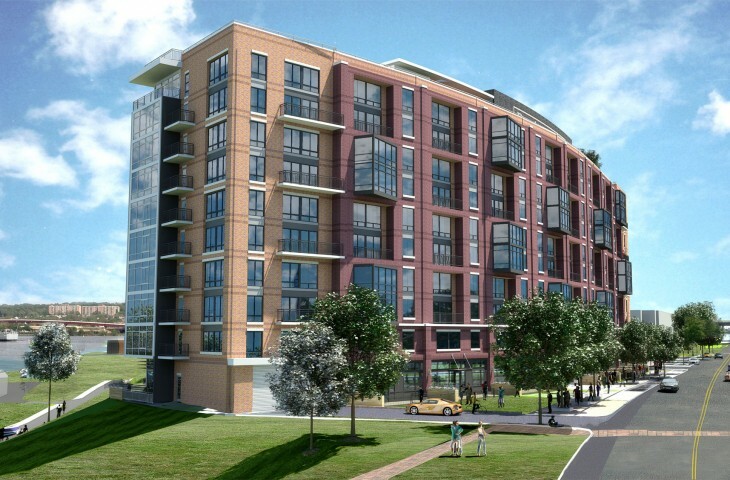 The building envelope has been designed to respond appropriately to its adjacent context. 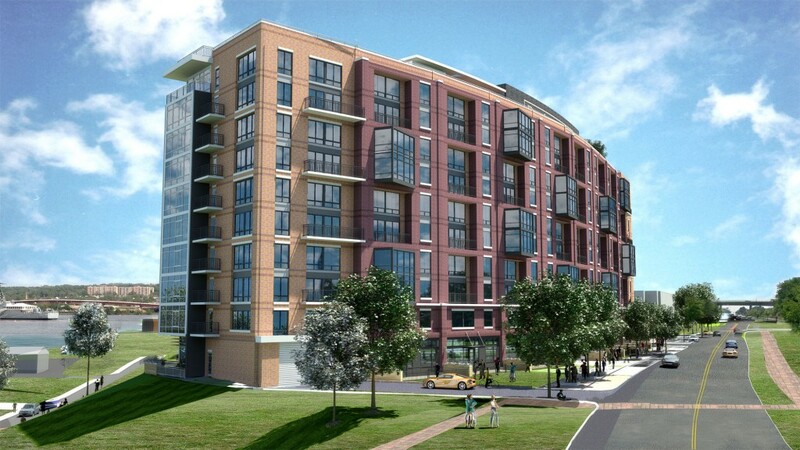 A solid, ordered brick facade addresses the existing urban context to the north of the site toward Capitol Hill, while a more transparent façade with floor to ceiling glass and framed balcony views lines the southern edge of the building toward the water. 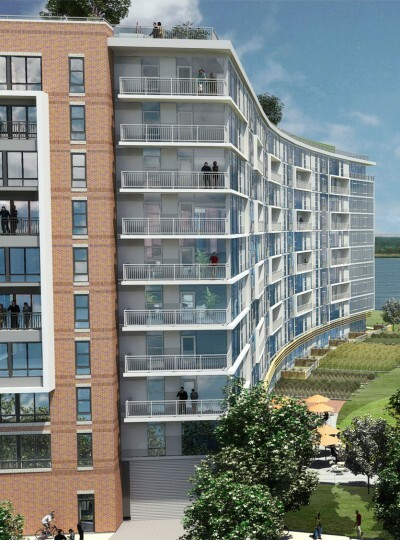 The surrounding landscape will feature a grand circular lawn leading to a paved overlook at the edge of the Anacostia River. 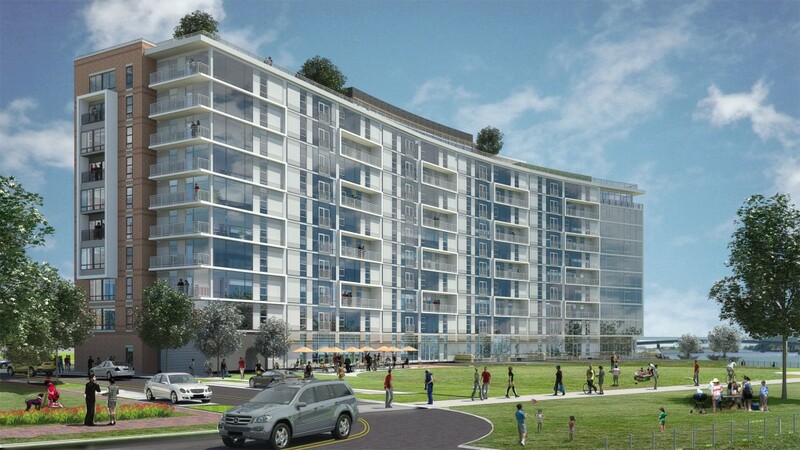 The final design will incorporate many sustainable design features. 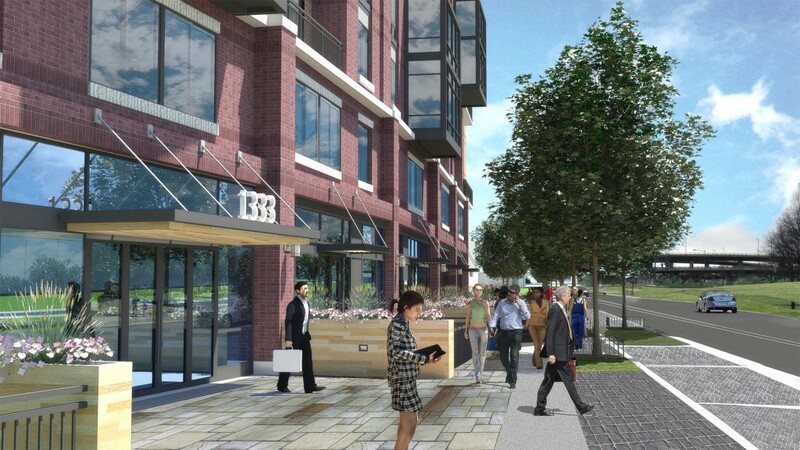 In its entirety, the overall development will total approximately 530,000 square feet of space. 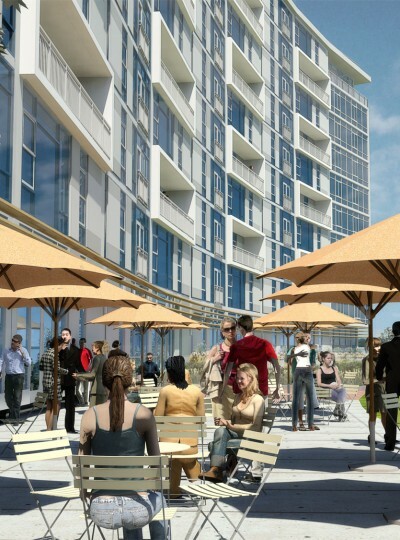 This will include approximately 673 dwelling units, retail, below grade parking, and a series of vibrant landscaped areas leading to a grand staircase down to the water.